Spectators at the ÖVB Arena were treated to another dramatic day of qualification action in Bremen after several star names in the singles events missed out on available main draw places at the Seamaster 2018 ITTF World Tour Platinum German Open while the first title matches were also played out on Thursday 22nd March. 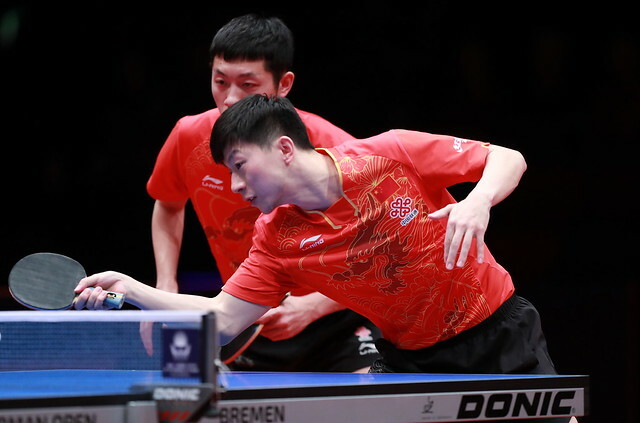 The biggest drama of the day surrounds Fang Bo following his shock exit in second preliminary round action; runner up at the Qoros 2015 World Championships but Fang Bo has missed out on a Men’s Singles main draw spot in Bremen with a sensational display from Poland’s Jakub Dyjas leading to a stunning straight games defeat for the Chinese competitor (11-8, 11-9, 12-10, 11-8). Fang Bo’s departure wasn’t the only substantial upset of the day as Quadri Aruna also made an early exit. The leading name in Nigerian table tennis received a bye in the opening preliminary round but failed to negotiate his final qualification match, losing out across six games (11-5, 11-7, 11-3, 9-11, 8-11, 11-7) to Croatia’s Andrej Gacina. Chinese Taipei’s Chen Chien-An was another major name to fall at the final hurdle of qualifying, suffering a comfortable defeat at the hands of Jeoung Youngsik (12-10, 13-11, 11-7, 11-6). However, there is a spot in the main draw for Chen Chien-An’s fellow compatriot Liao Cheng-Ting, who came out on top in his encounter with Portugal’s Tiago Apolonia by the narrowest of margins (11-9, 12-14, 7-11, 13-11, 12-10, 9-11, 12-10). There will be no appearance in the Women’s Singles Round of 32 for Elizabeta Samara after the 2015 European champion lost out to China’s Fan Siqi (11-8, 11-5, 11-8, 11-9), exiting the proceedings at the preliminary round stage of the competition. Another Chinese contestant who is beginning to make a name for herself on the international stage is Huang Yingqi: recovering from a two games to one deficit, Huang Yingqi beat Swedish representative Li Fen in the deciding game to qualify (11-9, 9-11, 3-11, 11-1, 13-11, 3-11, 11-9). However, surely the comeback of the day came from Jeon Jihee after the player from Korea Republic fought back from three games down on her way to a dramatic seven games win against Polish opponent Li Qian (14-16, 8-11, 8-11, 11-7, 11-7, 11-7, 11-6). The Under 21 gold medals were awarded to competitors from Japan and France as Saki Shibata and Joe Seyfried secured the first silverware on offer in Bremen. 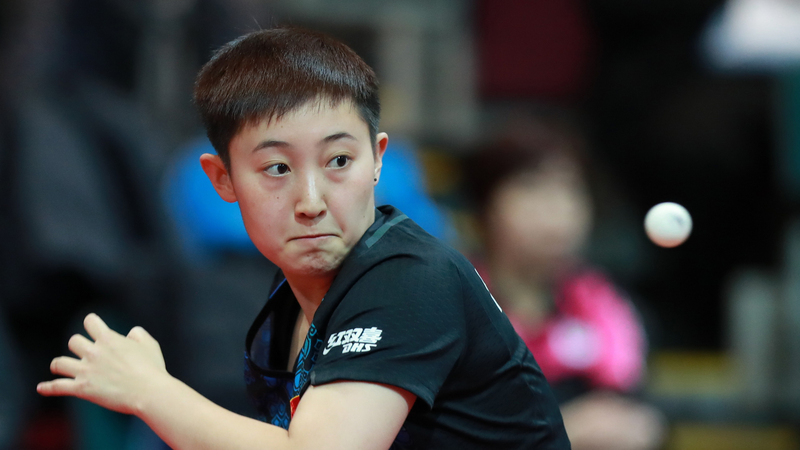 Claiming her third Under 21 Women’s Singles title on the ITTF World Tour, Saki Shibata accounted for China’s Huang Yingqi across four games (11-6, 9-11, 11-9, 11-5) while Joe Seyfried proved too strong for Swedish star Truls Moregard in the Under 21 Men’s Singles final (14-12, 6-11, 11-4, 11-7).